What Does SAV ® Mean? BMW doesn’t create your run-of-the-mill SUV models. They create Sports Activity Vehicles ® (SAV ®). These are a sporty kind of SUV that are engineered to perform. 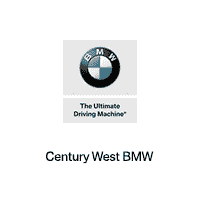 They are outfitted with superior BMW engines that are sure to impress your West Hollywood neighbors. There are several different BMW SAV ® models to choose from. Check them out below and let us know which one you prefer. This is a more compact SAV ® model. It has 58.7 cubic feet of cargo volume with the rear seats folded down. Its one engine option has 228 horsepower and it performs with 258 pound-feet of torque. This makes the X1 feel like a speeding bullet when you take it onto I-10 or I-405. This is a slightly larger version of the BMW X1. It has 62.7 cubic-feet of cargo space. It also has 8-inches of ground clearance for when your activities take you off Beverly Hills roads. This BMW has two distinct engine options. The standard 2.0-liter 4-cylinder engine has 248 horsepower and 258 pound-feet of torque. Although, the M40i, a performance-oriented engine, has the potential to reach 355 horsepower with 369 pound-feet of torque. This is the largest Sports Activity Vehicle ®. It has up to three rows of seating so you can pack all of your friends and family in for a fun weekend. It is loaded with a series of comfort and technology features. It also offers four different engine options. The most powerful is the 4.4-liter TwinPower Turbo V8. With this under the hood, you’ll be able to reach 445 horsepower with 480 pound-feet of torque. Find Your BMW SAV ® at Our BMW Dealership! Are you interested in a Sports Activity Vehicle ®? Do you want to learn more before you have to make a decision? Stop by our dealership and one of our friendly customer service representatives will be happy to help you. They understand the ins and outs of our BMW lineup and can help match you up with the SAV ® of your dreams! 0 comment(s) so far on What Does SAV ® Mean?